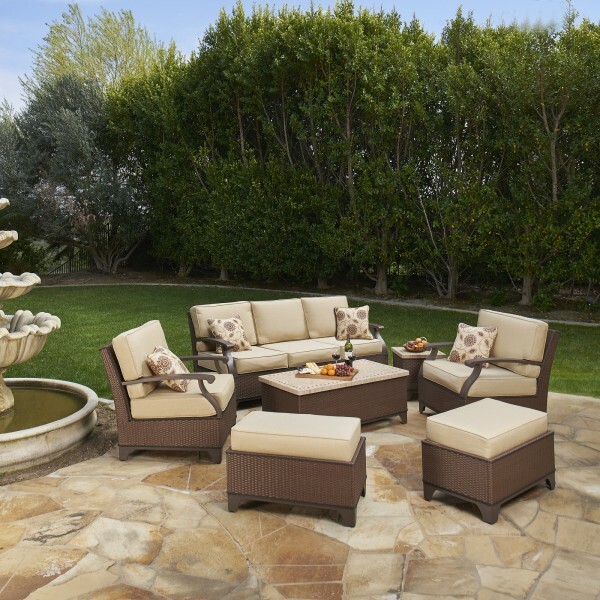 Add timeless elegance to your outdoor space with the Alderwood 7-piece Deep Seating Set by Mission Hills®. 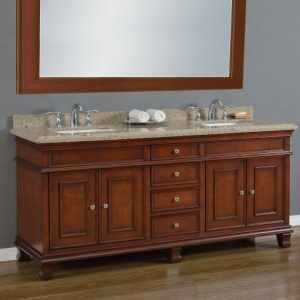 This set features tailored lines, rich textures, and hand-woven wicker. 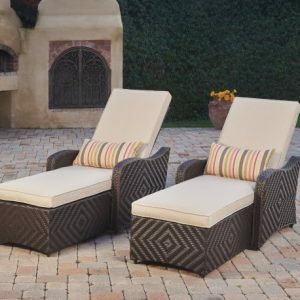 With seating for up to 7 people, this beautiful set will make spending time outdoors comfortable and special. 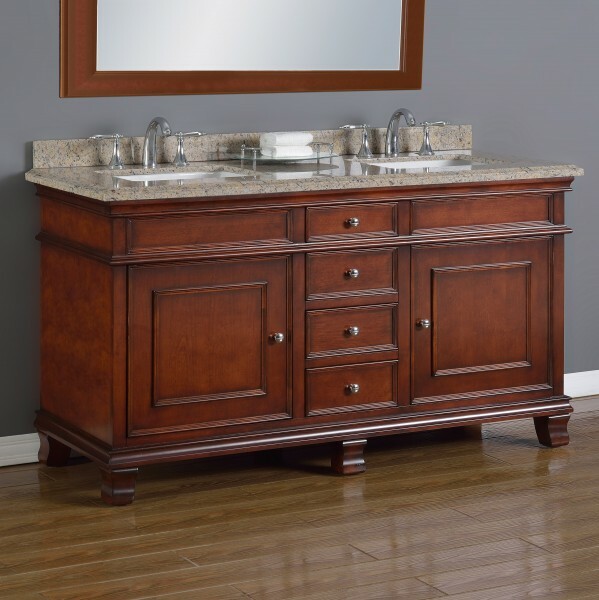 The Alderwood set includes a 3 seat sofa, 2 club chairs, 2 ottomans which can be used for additional seating, a coffee table, and an end table. The cushions are specially designed to fit around the armrests, creating a generous seat width. 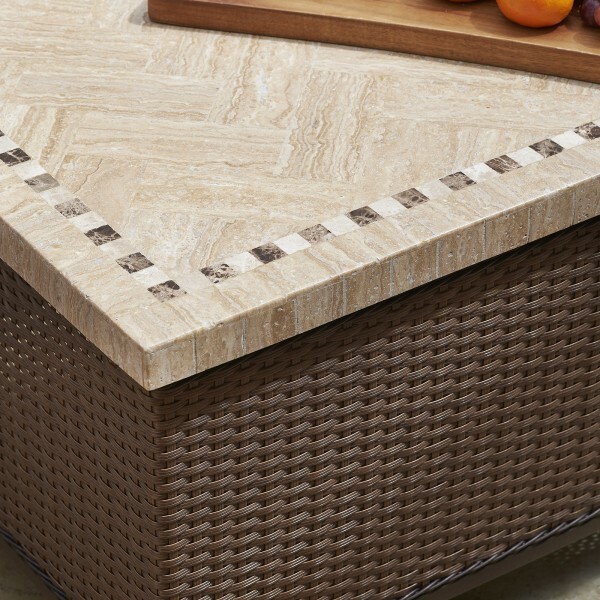 The tables feature parquet Travertine stone surfaces with handsome mosaic borders. 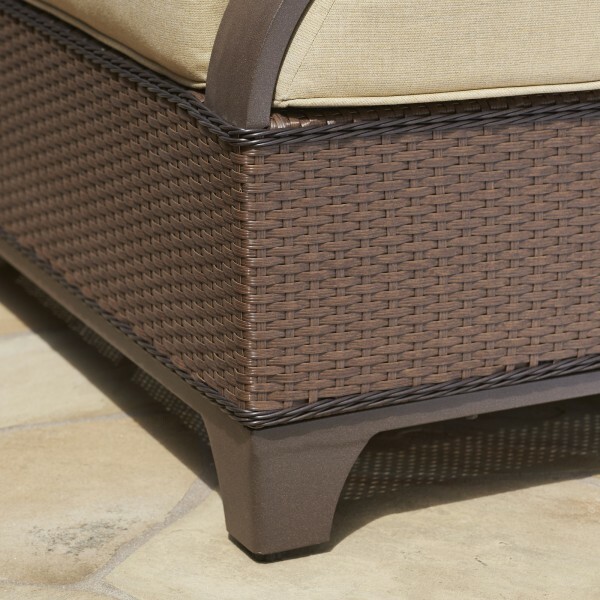 Chestnut Brown resin wicker is hand woven over powder-coated aluminum frames. Braided details add polish to the look. The all-weather UV resistant material will look beautiful year after year. 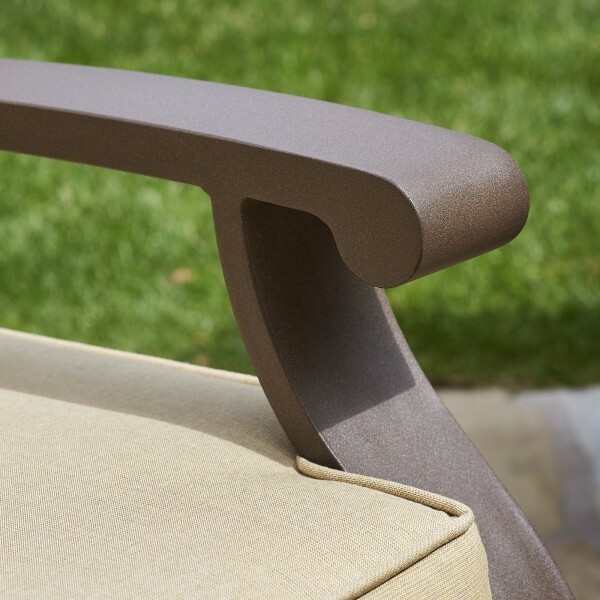 All of Mission Hills® outdoor furniture features Sunbrella® fabric, which is mildew and fade-resistant. 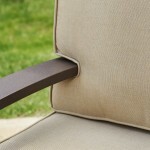 Our cushions are soft yet durable and will withstand intense sunlight, heat exposure, and numerous cleanings. The Alderwood Set has Spectrum Almond cushions with matching piping trim. 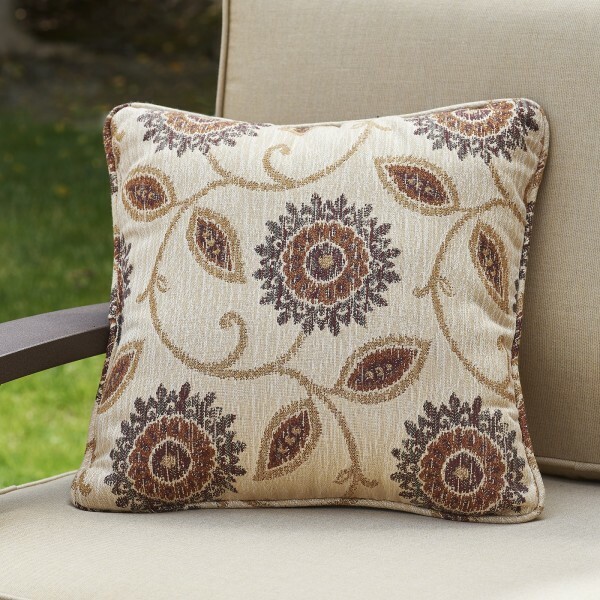 Four accent pillows are included, in Aria Teak jacquard.